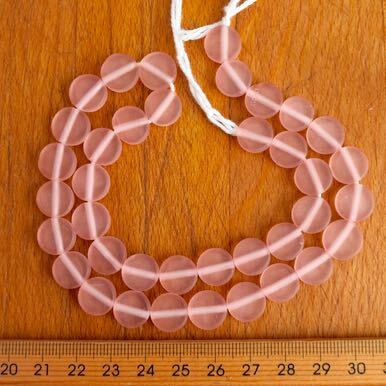 Resin bicone shaped beads, rounded facet edge. 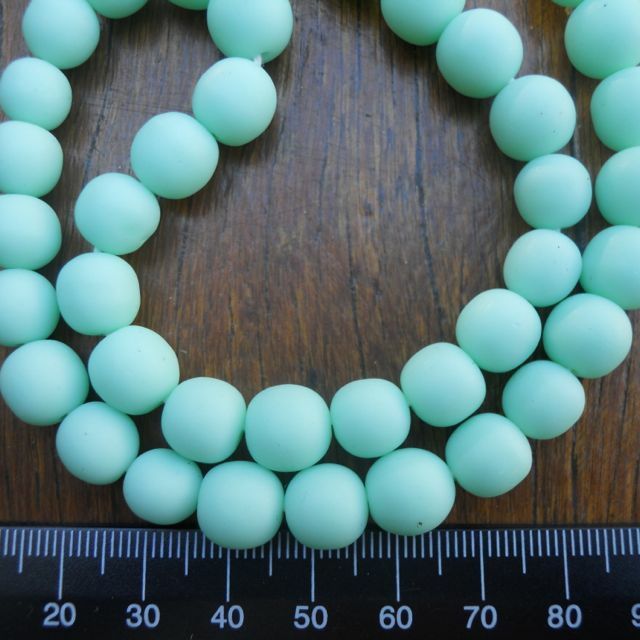 Approx 14 mm x 9 mm. 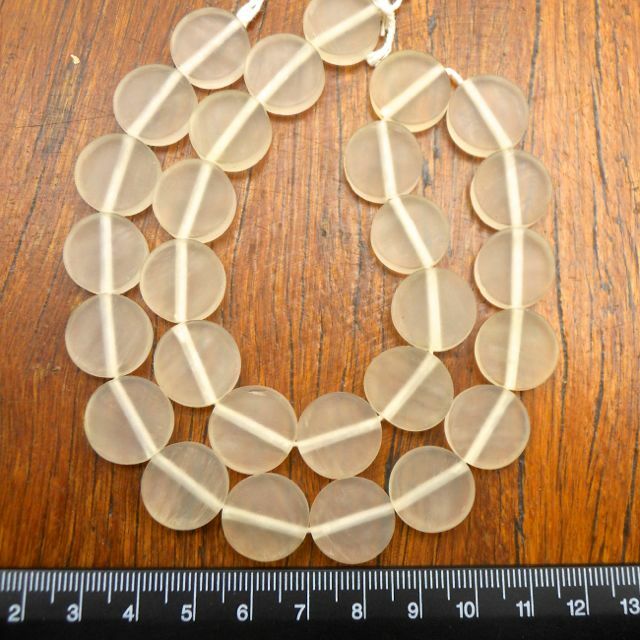 Approx 29 per strand. Drill holes approx 2mm.